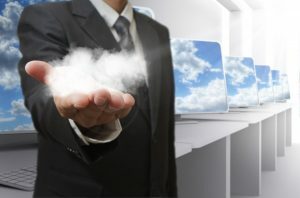 The hype surrounding cloud storage continues to grow, and yet, the actual pros and cons of the technology can get lost in the excitement of added features and functionality. While most organizations are now employing some type of cloud services, cloud offerings continue to expand into the data center infrastructure. Here is a short list of pros and cons of cloud storage with relation to data backup and disaster recovery. Cost: The most prominent factor is cost. By moving backup data to a cloud environment businesses can replace a traditional capital expense with an operating expense. Operating expenses can be easier to get budgeted and are widely seen as less of a commitment. Ease of Use: The second factor is ease of use. Most cloud options run on an automated scheduler and reduce operator intervention. This cuts down on the skills and time required to administer the solution. Flexible Infrastructure: The third factor is the relative absence of a need for dedicated infrastructure. This factor eliminates the need to plan for hardware refreshes and allows businesses to only pay for what they use today. While these pros need to be taken into consideration, it is important to consider the cons before jumping to a conclusion. Wide Area Network Connectivity: Even with the advancements in deduplication and compression; replicating data up to the cloud requires a healthy WAN connection from the telephone pole to the cloud providers POP. The other side of the coin can be more problematic. Daily replication of data may not accurately represent the WAN requirements to restore data from the cloud. Be sure to have a detailed conversation on recovery time objectives for a file, folder, server and an environment wide disaster. Resource Sharing: By definition public cloud is a shared resource. This brings up certain considerations around how resources are distributed and prioritized. Cloud providers are set up for certain thresholds of activity. 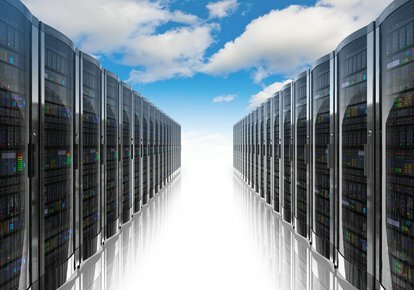 How will a cloud’s availability respond to wide scale outages or surges in user activity? These questions are addressed both in a cloud provider’s SLA and by compliance regulation standards. Be sure to understand the potential for slower speeds and limited availability before committing your data to the cloud. Cloud Security: This is an ever present concern in all aspects of technology. Many cloud providers will offer different levels of security with different prices. These options can include private VPN into the cloud, dedicated bare metal hardware and varied data encryption compliance. Each of these carries with them an additional cost, so carefully consider the correct mix of security for your data at each step as the data is move from on premise to the cloud storage. Regardless of the pros and cons, cloud storage is a useful tool for architecting a robust data backup and disaster recovery environment. However, it’s important to consult with your system admin and/or with a consultant to make sure it’s the best option for your business. 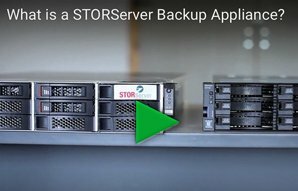 At STORServer, when we offer you storage and backup solutions, we make sure the disadvantages of the technology are dealt with and every advantage is maximized for your business. We can help you make the best decision for your current data infrastructure. Contact us today to learn more, or browse our appliance solutions to find out the backup solution that is right for your organization.